My boys have always been obsessed with building & blocks, but now they are LEGO crazed. 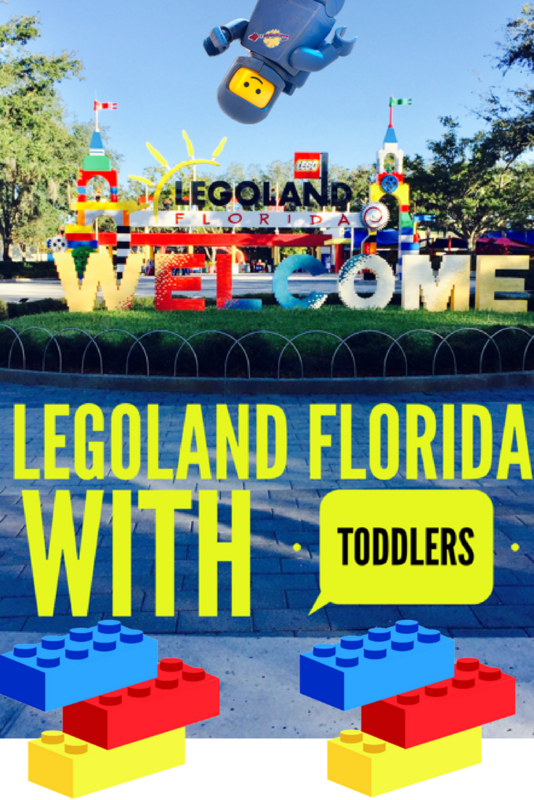 Yet, we had stayed away from going to the LEGOLAND Florida theme park when visiting the Orlando area, unsure if they were ready for it. Let me assure you, the 150-acre park is built for little kids (pun intended) offering more than 50 rides, shows and attractions designed for families with children ages 2-12. Located in Winter Haven, Florida, just 45 minutes from Orlando (shuttle busses from the Orlando outlets are available). 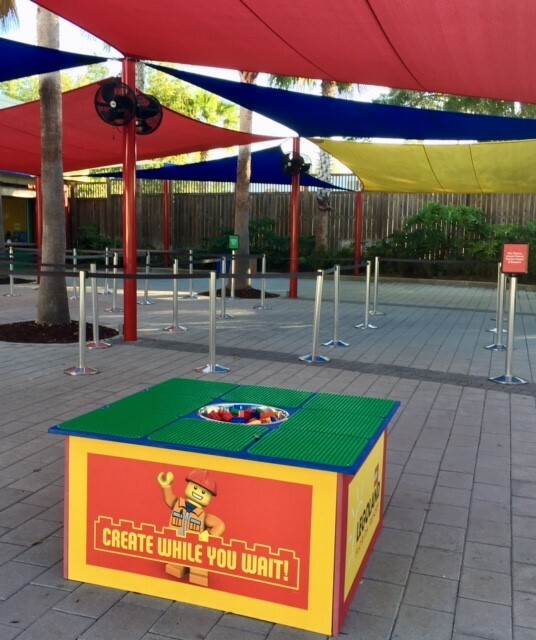 Unlike other Orlando-area parks, Legoland wasn't as crowded - neither the rides or lines for food. (Note we visited in January and February). Also, if you stay at the hotel or have an annual pass you get to enter the park a half hour earlier. Use the time to go on Ninjago The Ride, their latest attraction. Yes! Originally, we heard that the majority of the rides had a "42 inch height requirement to ride and with my 4-year-old twins still barely hovering at "39 inches, I wasn't sure there would be enough for them to do to justify buying tickets. However, I was wrong. Yes, I'm sure my husband would love for me to repeat that statement, lol! 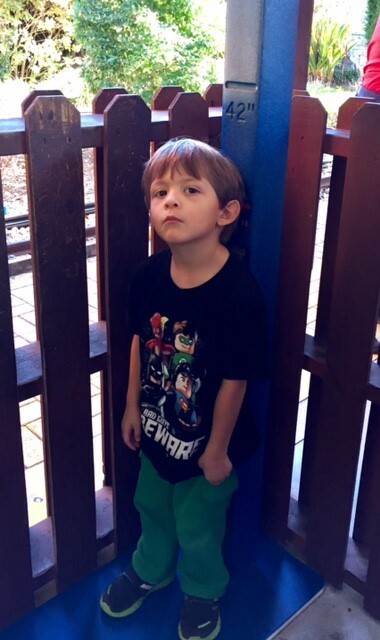 The 42-inch limit is only for kids to ride alone and does NOT prohibit them from going on the attraction. Thus, as long as we went on the boat, train and safari cart with them, they could experience the same fun as everyone else and even better we could do it as a family. We especially appreciated the many Create While you Wait areas. Even when there was a short line for an attraction, EVERY queue has an area where kids can build and play with LEGO bricks while adults hold their spot in line. Wouldn’t life be great if every line had LEGO bricks for children to play with? *sigh* In the Duplo area there are even size appropriate bricks for younger kids. Ford's Driving School has two different tracks: Jr which has one simple loop for kids ages 3-6 (not height dependent) and a more curvy track for bigger kids. Kids ride the LEGO looking cars by themselves, by steering and pressing the peddle all by themselves. This was by far their favorite ride, which is towards the back before the water park entrance. There is a ride attendant there though for when kids get stuck to help move the vehicle in the right direction. At the end of the ride, all drivers receive a paper driver's license too, which makes for a great FREE souvenir. Order your tickets online at least two days in advance for additional savings. Subscribe to their monthly newsletter to discover their latest promotions as well. Stay on property. 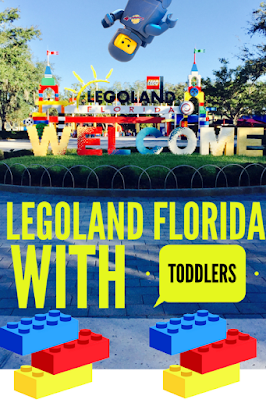 For stays between April 17 and May 25 at either the Beach Retreat or Legoland Hotel, KIDS GO FREE! 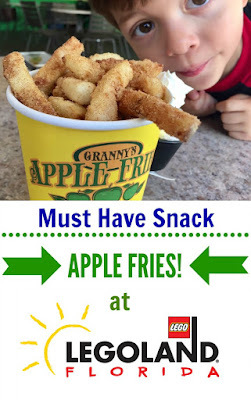 The package includes a free two-day child’s ticket with the purchase of an adult ticket. If you are a Florida resident take advantage of that perk with an annual Florida Residents Awesome Pass ($99+ tax). However, they can only be purchased online and not at the entrance, but proof of a Florida residential address is required for validation at time of live pass redemption. Forget pin trading, I now love figurine trading and I wish I had known about this BEFORE we went to the park for the first time. 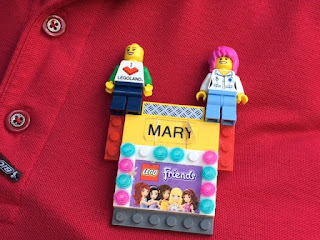 Model Citizens, or employees, wear colorful badges that display their name and will have little LEGO guys attached to it. If you spot one that you like you can swap a LEGO Minifigure that your kids don't want any more. 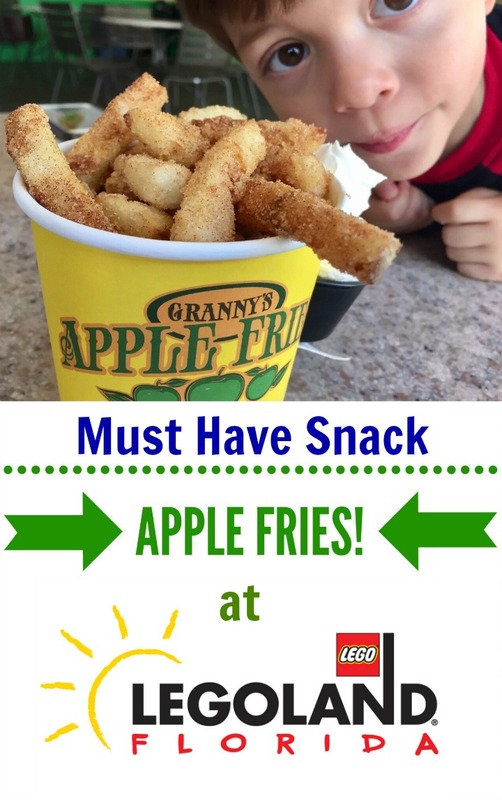 Thus, you could leave the park with new souvenirs that they can actually play with, so buy one ahead of time or pick up the discarded LEGO people loitering under your kid's bed and get ready to trade them in for some new ones, maybe even Batman, Disney or Harry Potter! While my boys like rides, they are still at the age that they would rather just run around and play. Fortunately, there are several areas in the park for this, including shaded or air conditioned spots! Pharaoh's Revenge is a two-floor covered jungle gym play space with foam balls and crawl areas, which also protects from the sun. Duplo Village is ideal for toddlers, it's one big playground with a train, a mini tractor ride and a water play area. The bricks for kids to play with in this village are also much larger and softer so as not to be a choking hazard or rough. Plus, the DUPLO Tot Spot is designed especially for children under the age of two and features a small slide and colorful playhouse. 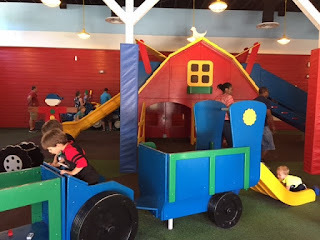 Meanwhile, DUPLO Farm offers that and more in an air-conditioned barn with benches for parents to relax and watch from. There is a baby care center located inside too. In Imagination Zone there is a Building Zone with a huge assortment of loose LEGO bricks and already built models for inspiration. Kids are also given wheels when they sign in so they can build LEGO cars and race them. Just be sure and return them when you leave. There is also AC inside and a panini grill cafeteria area, thus a perfect spot to eat at on hot days. In the new Ninjago World (our video here) there is Cole's Rock Climb area by the entrance that my boys ran to along with Kai's Spinners, which are rotating spinners for a child to jump on and Jay's Lightning Drill, which is a Simon says type game that my boys didn't really understand, but they still enjoyed pushing the buttons and hearing the sound effects. Pre-schoolers and older kids will love the shaded outdoor wooden playground called The Forestmen's Hideout with slides, nets and climbing areas. It is also staffed for further supervision of kids. UPDATE: Currently under construction, but an ice cream spot will open alongside it.